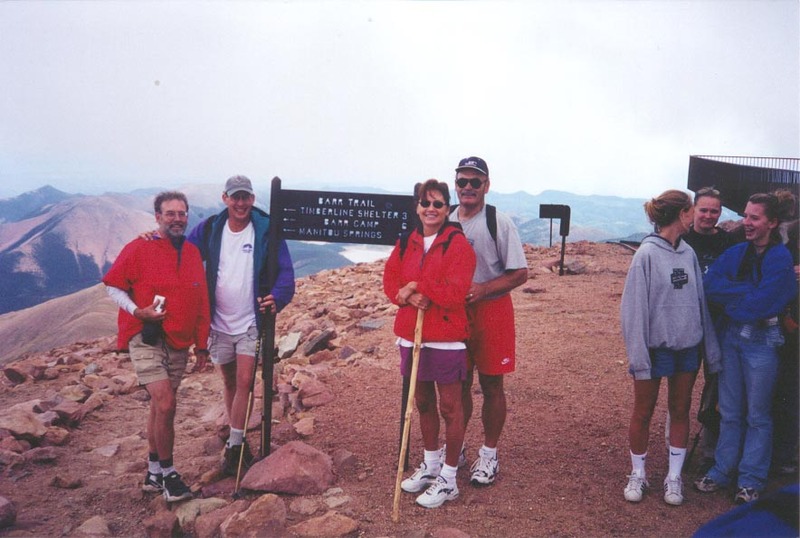 1999 ANNUAL CHURCH CLIMB UP PIKES PEAK! 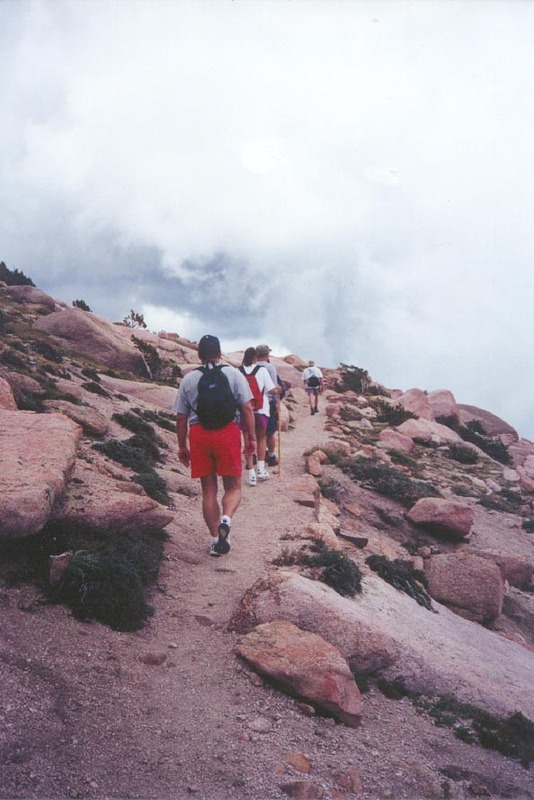 Each August, some brave and intrepid members and friends of the church climb to the 14,110 foot summit of Pikes Peak! In 1893, Katherine Lee Bates passed through Manitou Springs on her way to "America's Mountain", and composed the words, "O Beautiful, for Spacious Skies". Each year, Rev. 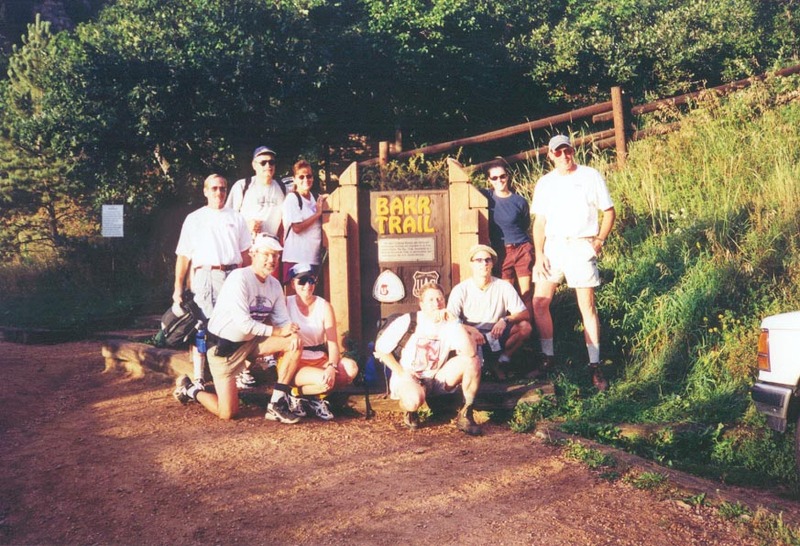 Hunting invites all who would like, to join him in sharing in this annual hike filled with good fellowship and soaring spirits. 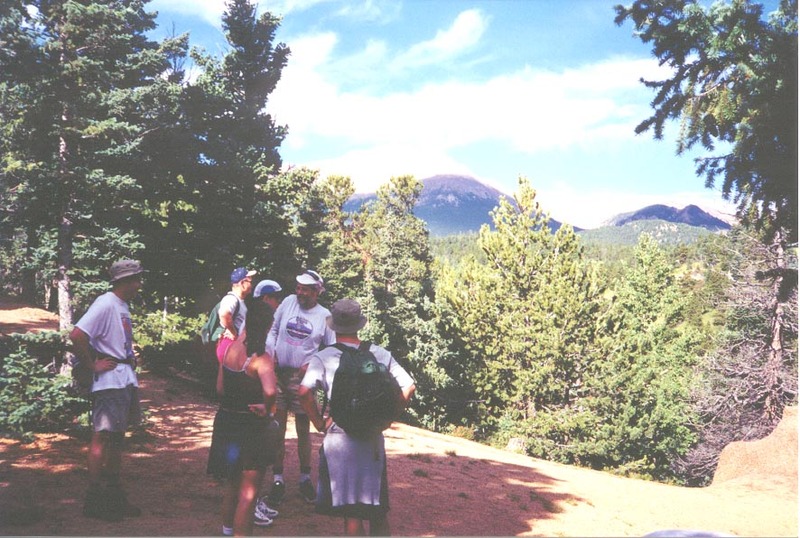 Click on the pictures below to enlarge them and enjoy the view! 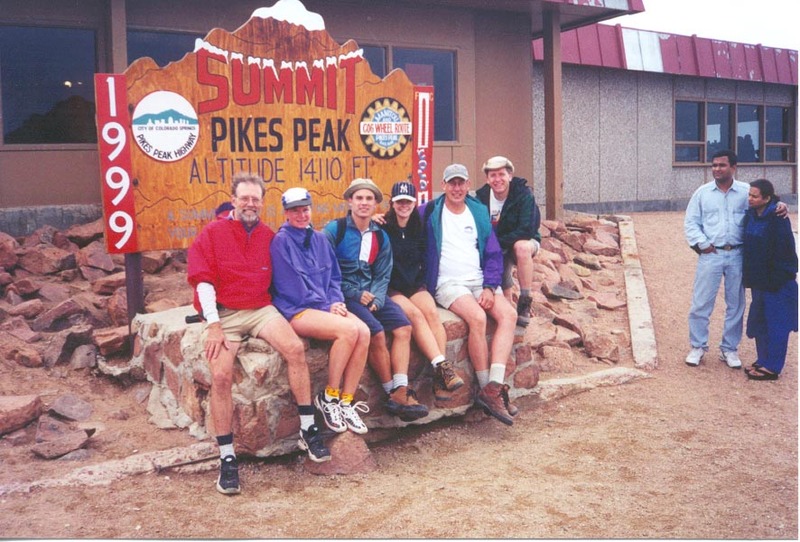 SEE YOU ON THE 2000 PIKES PEAK HIKE!